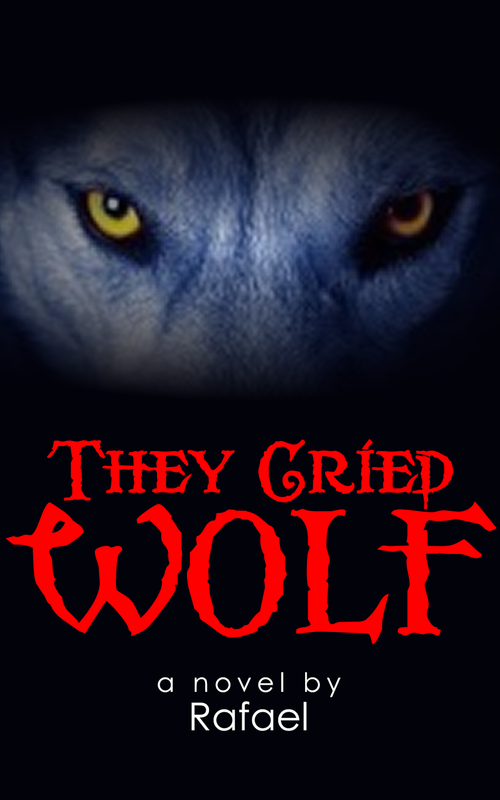 Today we are interviewing Rafael, author of the suspense/thriller novel They Cried Wolf. I was born and raised in New York City and currently reside here. People from all over the country and the world arrive every day and they’re a tremendous source of creative energy. I feed off it. I won’t admit that I’m biased, but I like to think of it as the Rome of our day. Well, maybe I am a little. Anyway, as a single guy it has caused me more than once to come home a bit late. I’ve always had difficulty remembering names. I might meet someone at a party and ten minutes later stumble to recall their name. The problem becomes worse if I’ve never met a person. Paradoxically though, I have no such difficulty with book titles. And while I’m writing one novel on a computer, I’m writing the next one in my head. But to answer your question the first influence was Ernest Hemingway. A style that strips sentences down to what is absolutely necessary to convey a thought or image instinctively appealed to me. Octavia Butler, however, raised that style to an art form. That’s an interesting question. In a very real sense, I’ve been writing all my life but it was always in a commercial, office, or technical context. Nonetheless, people as long as I can remember urged me to write. I always looked at them as if they had two heads. For me writing was a necessary evil to be endured if I had need to communicate important information. But when I grew bored of my Accountant/Systems Analyst career, I had a Paul to Tarsus moment. All the memories of those who said I should put pen to paper, so to speak, flooded my mind’s eye. And...I became a writer. The story posits a scenario in which a psychopath has slipped past the American electorate. Douglas Carswell has railed his entire life against the 1% who defy all efforts to curtail their accumulation of wealth, influence, and power. When he becomes President, he sets in motion a plan to overthrow Democracy and capitalism, the two forces he views as making the 1% possible. However, one of the nation’s most guarded secrets is that the Oval Office comes with an assassin used to eliminate threats that go beyond the Constitution or the courts. He, the story’s protagonist Diego Constance, gets wind of the plot and decides he must confront the most powerful man on Earth. The President has no idea the Executive Assassin is not just a hired killer. He’s also a werewolf. I don’t view those who might read my novels in terms of age, gender, class, ethnicity, orientation, geography, religion or any of the other artificial barriers used to separate us from one another. If you, one, love to read, and two, love an old-fashioned story that pulls you into a credible, vivid world filled with fascinating characters, then you’ll enjoy my books. Though I am very much aware of its history, America as a beacon of freedom has always inspired me. That sentiment courses throughout the plot. Do you see elements of yourself in Diego Constance? Or is he a completely unique creation? Not at all. I’m not as good looking as Diego! It is crucially important for me that a story I write be read as a natural, organic, coherent whole. Therefore, the plot creates, shapes, and defines the people within it. I studiously avoid inserting what I think an individual’s persona should be. A reader will immediately sense a phony character. Why did you decide to write a book where werewolves play a major role? Have you always been a werewolf fan? Only in the sense that we Americans share a common pop culture that happens to include a few iconic creatures. As a teenager when I read Bram Stoker’s Dracula it had me jumping at shadows. But I realized the world had lurched toward the blasphemous when the appearance of a vampire or werewolf would set young girls’ hearts fluttering. Come on! These are monsters! They’re meant to terrify! Not elicit lusty sighs and wistful adorations. This book has a political setting. Were there any political events that influenced how you wrote the political scenes? I was fortunate to have received a classical education in which it was impressed upon us early and often that an informed citizen kept abreast of current events. It is impossible to do so without being exposed to politics although what passes for the political today leaves many of us wanting to shower afterwards. The book’s politicians, settings, and events are an amalgam, a synthesis of all I’ve read, heard, and seen. What is your favorite thriller novel and why? Day of the Jackal by Frederick Forsyth. It is a masterfully crafted story of well-paced suspense, twists and turns that don’t stretch credulity, and characters you can “see” acting out the drama. Let me answer that by first saying I do not consider myself a writer. Faulkner, Fitzgerald, Joyce, Rushdie, Hawthorne, Bronte. These are writers. I view myself as a story teller. For me I’ve failed if a reader stops to admire a well-written paragraph. My goal is to have the words disappear from the page and a story unfold in the reader’s mind such that they become unaware they’re reading. In the process however, my writing has evolved. In the beginning I didn’t really appreciate the bias against adverbs and how their use was a lazy excuse for poor verb choice. When I read over my first novel I could see my sentences were swamped with “was”. And not until my third novel, They Cried Wolf, could I notice the following error: “The beast leaped in the air.” Give up? The prepositional phrase is redundant. Not specifically as such. Serious writers must read. The world will open before them. They must listen. They’ll hear character dialogue. They must see their surroundings. Scenes will write themselves. That’s an easy one. History. A character in my fourth novel The United States of Africa observes: “The only thing new is the history you don’t know.” Indeed. Consider this. Everything 50 million people will read is filtered through 1,500 some odd literary agents. Since no formula exists (or can exist) for those agents to predict what readers will like, they have only one criterion for deciding what they will represent: personal taste. Many agencies have gone bankrupt trying to pick winners from losers on something so subjective. Occasional successes occur if they sell 500,000 books. Of course that means 49.5 million readers ignored it. Ebooks have democratized an industry that technology has revealed as broken. (Laughing) To live and eat well! It makes writing possible. When they reached out to discuss a book with me. First and foremost, my books are intended to entertain. And on that level I believe they succeed. But they also have caused readers to pause and reflect on the human insights and world views presented. Nothing gives me more pleasure than a reader who has stopped to think and then opens a discussion to exchange ideas and concepts. Proofing and editing. Ugh. It is beyond tedious. It is mental quicksand that drains the joy at having written “The End”. What makes it truly diabolical is that it is essential and therefore inescapable. If by writer’s block you mean not having any idea what to write, then no. Thinking about what to write, is writing. There have been times when I stopped making words appear on a computer screen to think through plot points, logical sequences, twists and turns, character development, etc. These moments have at times lasted a few days or a few weeks. When it happened during my first novel, I panicked. Now I know these are expected and natural aspects to novel writing. In fact, once I’ve decided on a starting point in time and a place, the rest of the novel is an answer to the question, “What happens next?” Until you reach “The End”, answering that question must always produce an answer and therefore render writer’s block impossible. And let me add this insight. If pondering the question,”What happens next?” produces one page a day, in ten months you’ll have a full-length novel. I cannot, for the life of me, imagine how writers of an earlier time produced novels. Obviously they did but I praise the Gods of Literature for allowing my birth during the Computer Age. They have blessed me with block copy, paste, and move. They have deigned instant formatting shall be and so it is. I kneel before the power they unleashed through spell and grammar check. Fear and uncertainty fueled the fervor that swept the world’s three great religions. Jews clamored the times finally heralded the Messiah’s imminence. Christians cowered and continued to turn the other cheek. The Sons of Allah despaired the Caliphate would ever rise. Into this maelstrom, the Servant of the One Lord appeared. Well, although you didn’t, many have asked me if I have a last name. Yes, I do. Thank you, Maxine!! It’s been a great interview and I had a lot of fun doing it. Inside, the escape pod’s emergency lights bathed the bedroom in alternate red and green flashes. On the floor lay the President of the United States. The lead commando bent over the prone Chief Executive. A crumpled chest rose slightly and the eyes tried to flicker open. His massive wounds still seeped blood from slashes in his neck and chest. “Medic! Medic! The President’s alive.” The medical officer rushed past the corpses, tore off his helmet and goggles, ripped open gauze pads, screamed for the doctor still aboard the transport. He leaned down closer to his patient. Cracked lips tried to move. A hoarse whisper rose, “Were . . .” He coughed. Blood spilled from his throat. “Were . . .” he repeated. “You’re on Air Force One, sir, don’t speak. We’re going to get you out of here.” Not another sound emerged. The President lay dead. The medic had not grasped what the most powerful man in the world had tried to say. Understanding lay in the past, seven months before.